The 6 song EP S.I.C. (Sam's Idenity Crisis) from Krizz Kaliko shows his versatility and why he is a standout artist on Strange Music. I think this is EP is better than his last full length CD Shock Treatment. Shock Treatment was sub par and had no standout tracks. On this EP, Kaliko gives us a different side of him on every song. Starting off the EP is the song "Immortal." This song gives you a taste of what Kaliko can bring to the table and is definitely the standout track. "Medicine" is another song that caught my attention and sounds like something we can expect from the upcoming Kabosh album. The rock sounding track reminds you of the song "Little Pills" off Tech N9ne's Everready. The rest of the tracks are also great for Kaliko fans, but those two tracks will gain the most replay value.The only feature on the EP is Tech N9ne and he is on "Medicine" and "Down." I found this EP to be more enjoyable from his last release and believe this EP from Kaliko puts him back in the spotlight. Overall S.I.C is nice purchase for any Strange Music fan and should hold you over until Tech N9ne's CD All 6's and 7's on June 7th. 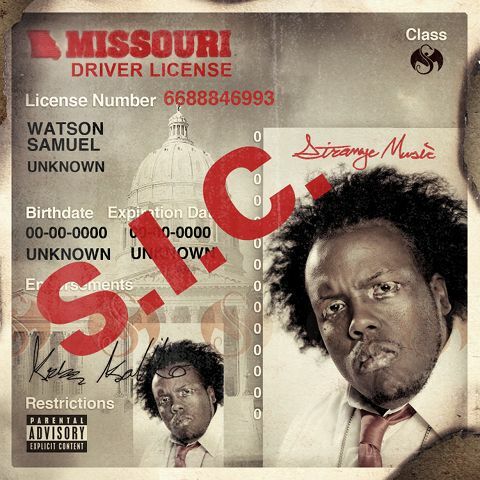 Below is the song "Immortal"
Krizz Kaliko S.I.C. EP available today!